This is blog post number 7000 ! It’s just a tiny trunk but for orphaned William Kelly, 15, it contained his whole world: some clothes, boots, handkerchiefs, needle, thread and a bible. 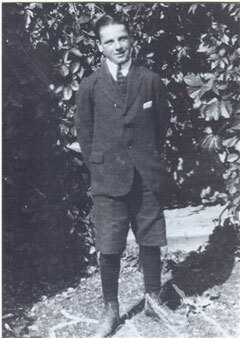 In 1925 William was sent from Liverpool aboard SS Athenia to a new life in Canada. The trunk was typical of those given to child migrants who left their homes, families and friends forever. Liverpool is linking up with Australia to tell the emotional story of child and youth migration. 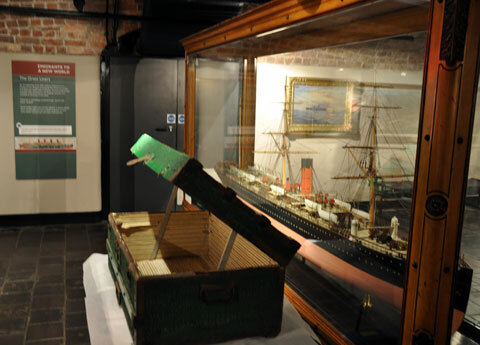 And the small trunk belonging to William has now gone on show at Merseyside Maritime Museum. From 1860 until the 1960s migration schemes saw youngsters and teenagers separated from families and sent to the ends of the earth to begin new lives. Many were orphaned or had come from poor families who could no longer look after them and it was felt Australia and Canada provided better opportunities and a standard of life. Children sailed from Liverpool, Glasgow, London and Southampton. While many found happiness, others suffered abuse and exploitation. An exhibition developed in partnership between Merseyside Maritime Museum and the Australian National Maritime Museum opens in Sydney on November 11 2010. Liverpool stories and artefacts will form part of On their own – Britain’s child migrants exhibition. A website goes live on 10 November – www.britainschildmigrants.com – for people to share their memories and experiences of child migration. The site is an online version of the exhibition in Sydney and contains moving oral histories and a message board for people to leave their memories. In November 2009 the Australian Government issued an apology to children who suffered in institutional care. The British Government also apologised to former child migrants in 2010.